Mondays: 9:00 pm/Est. 8:00 pm/Ct. 6:00pm/Pt. Listen in to the latest in Survival Medicine and other relevant news every Monday night 9:00 pm/Est. 8:00 pm/Ct. 6:00pm/Pt with the experts Joe Alton (MD) and Certified Nurse Practitioner Amy Alton. Nurse Amy and Dr. Bones have been podcasting as the Doom and Bloom Hour for over two years. Their shows are focused on medical preparedness including strategies for medical issues without access to modern medical help, herbal medicine, survival gardening, recent world issues and topics affecting those who are trying to become more prepared for times of trouble. Join them on a journey to preparedness, don’t forget the “band-aids” and laugh along with two hosts who know how to make learning fun! 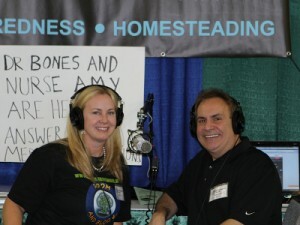 Joe and Amy Alton are the authors of the #1 Amazon Bestseller “The Doom and Bloom(tm) Survival Medicine Handbook. See their articles in Backwoods Home, Survivalist, Self-Reliance Illustrated, and Survival Quarterly magazines. 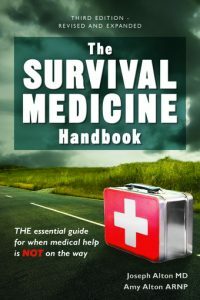 Survival Medicine on Blogtalk HERE! Books by Joe and Amy! 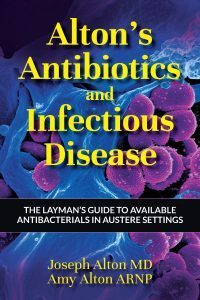 Read more or order now HERE!